The company is a temp employment agency. 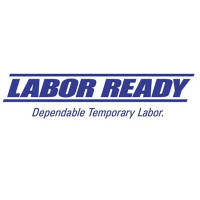 It is formerly known as Labor Ready. It is a part of TrueBlue, which also owns PeopleManagement and PeopleScout. A lot of people refer to it as TrueBlue — the company is the flagship brand after all. The company was established in 1989 by Glenn Welstad while TrueBlue, its parent company, was founded in 1985. As of now, the company, together with its sibling staff management companies, is the second largest staffing and employment firm in the United States. It reportedly has 5,000 to 10,000 people at its employ. This excludes the more than 600,000 employees that it takes in for its clients. Currently, it has more than 600 locations/offices in the country. Its headquarters is located in Tacoma, Washington. It provides 401(k) and health and dental insurance to employees. However, the coverage of its health insurance is small, which makes the contributions relatively cheap. Employees also are entitled to sick and paid leaves. Getting a job in this company and its clients is fast and easy. Also, you have the option to work for a company that pays daily. In addition, the company covers for employee equipment, especially if the company/client is from the construction industry. How old do you have to be to work at People Ready? You need to be at least 18 years old to get a job in this company. Also, your physical health is a priority when you are being considered for a job. Entry-level clerical and non-labor-intensive jobs are also available. In this company, you will be either employed in the company itself or in one of its clients. The positions here vary wildly and there are a lot of options to choose from. Do note that most of the jobs available are entry-level. General Laborer: You will be working in a construction site and will perform different tasks depending on what is demanded by the project or the foreman. You are expected to be agile, physically fit, and able to lift heavy materials. Plumber: As a plumber, you are expected to be capable of reading schematics and prints. With the help of those prints, you must be able to fix and install pipes and fixtures for water, gas, steam, and the like. Meat Cutter: You will be processing meat products and mainly chopping up large chunks of meat into smaller and specific portion cuts. Other tasks you might do are weighing, wrapping, and displaying of meat products. Heavy Machine Operator: The tasks involved in this job depend on the client/industry and the location where you will work. Expect that these machines can be dangerous when mishandled. A few examples are boom lifts and scissor lifts. Warehouse Worker: Your job depends on the warehouse you will work on. But primarily, you will be there to organize and move stocks and supplies from the delivery bay to the warehouse and vice versa. Carpenter: You are responsible for all carpentry tasks. Mainly, if you are in a construction site, you will work on walls, doors, cabinetry, roofing, and finishing. Utility Worker: The tasks and responsibilities you have may vary. However, it is expected that you will be a team or specialist’s assistant. You will provide help to workers in order to achieve the goal they need to accomplish. You must also expect that you have to always be available and willing to travel to keep up with this kind of job. Electrician: It is a must that you are capable of doing basic electrical work, repair, and installations. You will also be tasked to do preventive maintenance and troubleshoot potential defects and hazards. Retail Associate: As a retail associate, your job requires you to greet and interact with customers and process their payments. Also, you will be responsible for cleaning and maintaining product shelves. There are multiple ways to get employed in this company. Primarily, most prefer to apply online — by just going to the website and looking for available positions. However, do note that going through this process may take you one to eight weeks. Visiting an office and applying directly ensures faster processing. On the other hand, if you know someone in the company, use your connections getting someone to recommend or refer you is the best and easiest way to get a job in this company. Make sure that you know which position you are going to apply for. When providing information, also ensure that your contact information is accurate. Since the company takes a while to contact applicants, putting a wrong number will only waste your and their time. The company is focused more on reading your resume than knowing you in person. Because of that, be sure that your resume is as detailed as possible. Also, focus on emphasizing all the previous work experiences that you have. Usually, the company does not interview its applicants. As long as you are a match for the job and the background check returns okay, you will be hired. If there is an interview, however, expect that the questions will be easy to answer. The culture of the company is quite loose. But the good thing about it is that you will meet a lot of people and experience different work environments. Also, the company is open for almost all people on all walks of life — even if you have past DUIs and existing criminal records. One of the newsworthy events for the company was when it announced that it would hire 2,000 people to help with repairing the damages done by Hurricane Harvey in 2017. The company is known for sourcing employees all over the United States, directly rivaling Adecco. It is the best company to work for if you are already at your wit’s end in finding a job. What the company does can be considered as its best social effort. It allows every person in the United States to have a job. And it effectively combats the rising unemployment rate in the country. 1 How old do you have to be to work at People Ready?